Palau is an island country in the western Pacific Ocean. Geographically the islands of the state belong to the group of islands of Micronesia. But politically the island country is a presidential republic in a free association with the Unites States of America. The USA provides Palau defense, funding and access to social service. Its currency is the U.S. dollar. Palau adopted its constitution in 1981, when the islands declined participation in formation of the Federated States of Micronesia. Constitution of Palau became the first nuclear-free constitution in the world. This document banned any kind of activity, related to usage, storage or disposal of nuclear, toxic chemical, gas and biological weapons. This constitution was approved in a referendum. 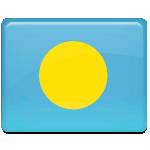 Festive activities of Constitution Day are held mainly in the city of Koror and the capital of Palau Ngerulmud.